Responsible Management: With strong Board of Management support, we appointed Sustainability Managers in all destinations to carry out our sustainable action plans. 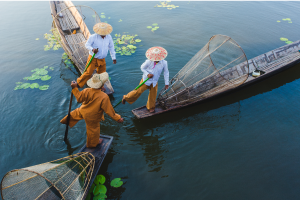 Collaboration: Easia Travel is in constant dialogue with global forums and collaborative training methods to guarantee both authentic and sustainable adventures for your clients. Fair Play: Our staff has a safe and supportive working environment consisting of above average wages, paid yearly leave (holidays, maternity, and sickness), and transparent contracts. Health and Safety: We provide comprehensive insurance and easy channels for both complaints and emergencies for your clients, who are accompanied by our First Aid-trained guides and staff. Prevention Measures: We are constantly assessing risk in both out in-house and supplier products in order to best address and reduce negative impact on all humans, animals, and environments involved. Children and Youth: In strict accordance with UN Conventions on the Rights of the Child and the ILO Convention 138, we strive to create opportunities for national and international students looking for tourism jobs. We provide paid internships for their development of foundations and experience in the tourism sector. Protection and Human Rights: Humanity is one of our core values, and with the help of partners like ChildSafe and Friends International, we help maintain protections and support for at-risk groups from children and women to ethnic minorities in all areas of our business. Equality: In our communication charter, we prohibit staff from discrimination on the basis of gender, race, age, disability, ethnicity, religion/beliefs, or sexual orientation, and we hold our partners and suppliers to the same standards. Diversity: We believe strongly in the beauty of diversity. Our multi-national teams are trained on cross-cultural communication by nationality to provide an efficient working environment and, importantly, ensuring that both travelers and locals are comfortable in their interactions. Office Efforts: Following a comprehensive, educational action plan, our Green Teams in every country promote sustainable practices in both one’s private and professional life. We hope to stand as a role model, and are always happy to collaborate with tourism stakeholders in this area. Recycling: From digitizing our office files to encouraging individual responsibility for waste, we are in the process of implementing an efficient and comprehensive recycling system for all our offices. Energy Reduction: Every little bit matters, from limiting light and air conditioning usage to regulating our water use, and we aim to instill all these practices in our staff. Sustainable Office Purchases: Instead of giving in to “disposability culture,” we are embracing a “repair and reuse” mindset when it comes to office equipment. We also take pains to make sure we never order more, from paper to printers, when we can find a sustainable alternative. 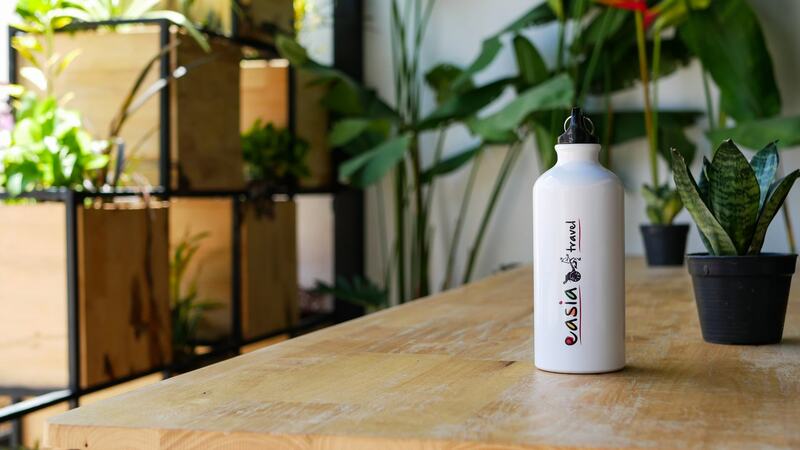 Reducing Plastic: In addition to our expanding Refill Not Landfill campaign in Cambodia, we are working to create awareness and set a positive example within the office and encourage non-plastic solutions, like using pre-packed lunches and reusable water bottles. Clean-Up Activities: Our teams regularly join local civic clean ups and work to raise awareness of these activities in order to keep our destinations as they were meant to be seen: pristine and clean. 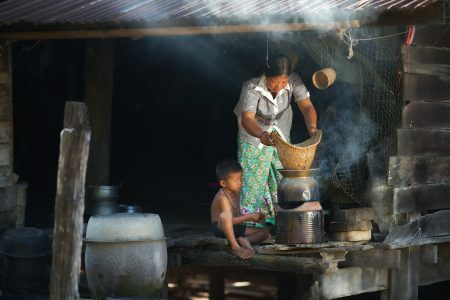 Clean Water: Collaborating with NGOs like Water for Cambodia, we have been working since 2017 to provide safe water for families in our destinations, with 40 filters having been successfully installed to date. 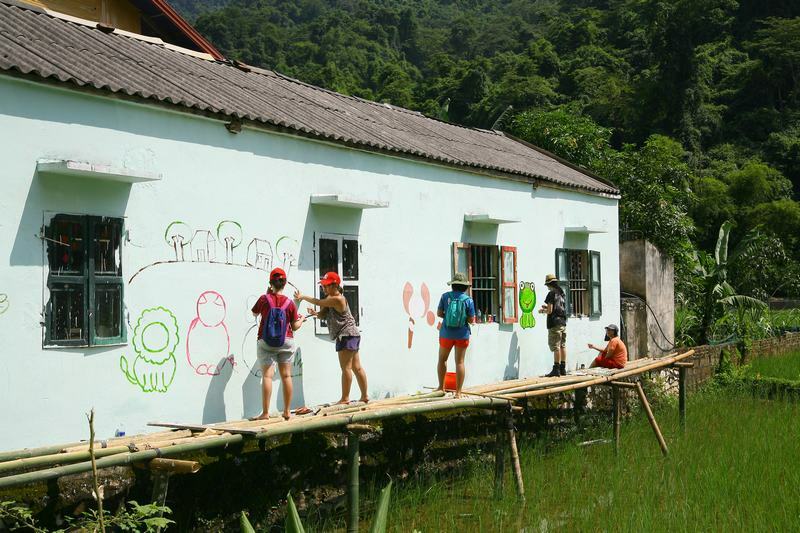 Locality: Working with local communities helps reduce our impact on main tourist trails, while also providing amazing, unique experiences for adventurous clients. 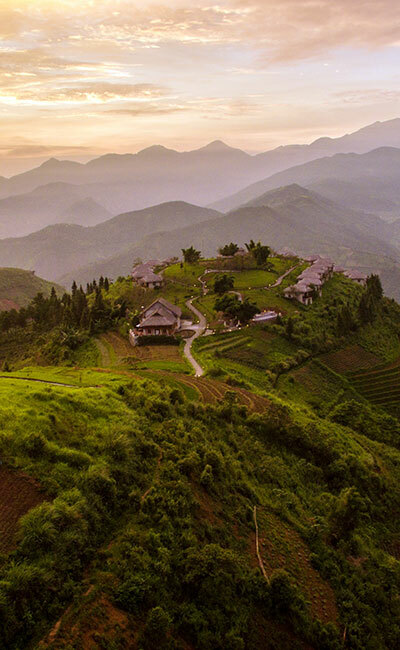 We favor accommodation and activities that are locally-owned and follow principles of traditional, non-invasive practices. Loyalty: We want to make sure that our partners receive an overall positive impact from tourism and direct financial support. So, we always make at least a 5-year commitment to our projects with the local people. Authenticity: The line between commodification of culture and respectful authenticity can be tricky. Whenever possible, we avoid mass tourism destinations and set up special local encounters that are meaningful for both travelers and locals. Empowerment: Whenever we begin business in a new region, we meet with the village head and key members of the community to discuss tourism itself, provide hospitality education and training, and demonstrate how our travelers could bring a substantial income to the local community, while being transparent with both pros and cons. Selection: In all our destinations, we carefully research and select local NGO partners that demonstrate a quality commitment to community development. We personally assess our main suppliers with our own sustainability checklist to make sure they meet our standards. Sustainability Contract Clauses and Termination of Contracts: We encourage our suppliers to commit to sustainable practices by signing our contract addenda for sustainability. Any violation of these clauses results in our immediate termination of the contract. 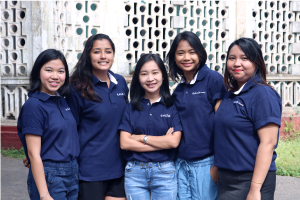 Guide Training: Every year, we focus on providing comprehensive training for guides and aspiring young guides alike, ranging from basic duties and rights, Easia Travel’s philosophy, and developments in sustainable travel. 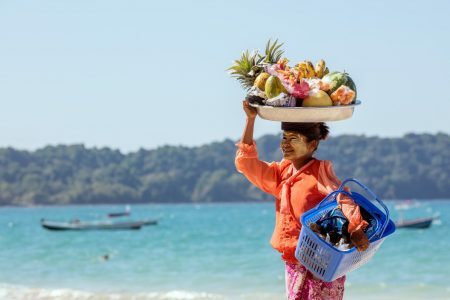 Guide’s Role: Our guides not only serve as excellent cultural liaisons between travelers and locals, but are also key in disseminating our sustainable practices throughout our destinations. Product Inventory: Our tours generally support local communities through the purchase of local goods and services, visiting social projects, and promoting authentic encounters that foster cross-cultural understanding. 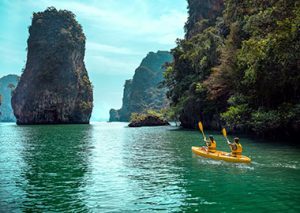 Soft Adventure: We want the whole of Asia to be both safe and easy for everyone, so our Easia Active team is constantly developing new and exciting hiking, kayaking, and cycling excursions, all led by guides expertly trained in first aid and exploring ‘off-the-beaten-path’ trails. Wildlife and Captive Animals: Under the supervision of the PATA Animal Welfare Initiative, we only provide tours that strictly adhere to our guidelines against the mistreatment, exploitation, and abuse of all animals. Sourcing Locally: Not only is trying local dishes one of the best ways to learn about and bond with local people, but supporting locally-sourced food helps keep small markets and local farmers in business. 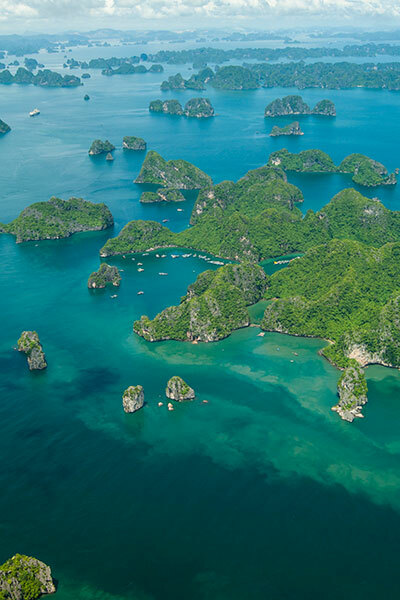 Minimizing Ecological Footprints: Although travel tends to leave a sizable carbon footprint, we are currently working with select NGOs to offset the footprint with tree-planting and environmental education programs, as well methods of accurately measuring our current ecological footprint. Donations: It is of the utmost importance to donate to reliable NGOs that are able to monitor and evaluate need properly, since we have come to see the negative effects even a small, mishandled donation can have on communities. No School or Orphanage Visits: We at Easia Travel do not provide visits to schools or orphanages, since these visits can actually be quite harmful and disruptive for the community. Instead, we work with partners like ChildSafe and vocational schools to responsibly build relationships with locals. Customer Privacy: All employees are responsible for keeping confidential client information in any form (hard and soft copies) in the storage section of the company, forbidden from revealing information without permission, and responsible for reporting breaches of conduct. Product Information: Our marketing reflects clear, complete, and accurate price and product information, including sustainability claims, and does not promise more than is delivered. 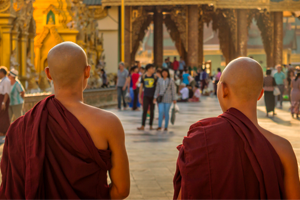 Code of Conduct: At Easia Travel, we inform all travelers about key sustainability issues in the destination and give tips and advice on how to make a positive contribution to local charities and sustainable initiatives without harming the local communities. Quality of Services: Our local contacts, available in every destination 24/7, handle all complaints, emergencies, or other issues with speed and consummate professionalism. Crisis Response: With comprehensive crisis response teams and protocols, we are prepared to handle constant communication, situation updates, and safety advice with calm and collection. Client Satisfaction: By implementing in-depth Quality Follow-Up Procedures, which now includes sustainability, we continuously measure, evaluate, and attempt to improve client satisfaction after each and every trip.